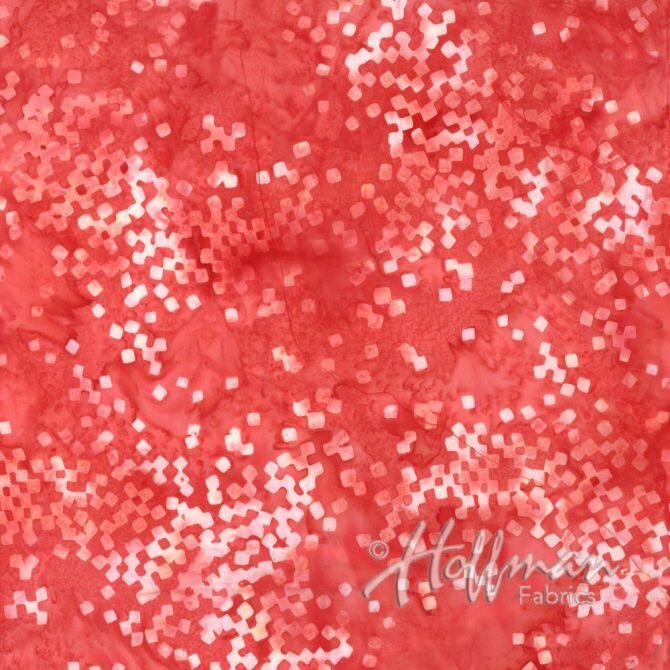 Bold pink batik with tossed pink confetti squares in different shades of pink. From the Bali Fabrics collection from Hoffman Fabrics. 100% cotton. 43"-44" wide.